I recently posted on some heavy issues now it’s time for some fun. I want to wish everyone a very Happy Halloween!!! 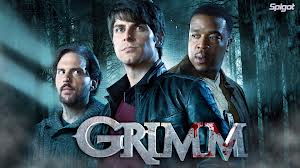 Halloween and TV do mix; this is one time of year we get a lot of great shows to watch that have a spooky theme. 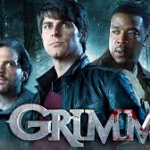 One favorite Friday night show returns on Oct 25th GRIMM. Marketplace Fairness and Obamacare what next? We ALL should be concerned with what is going on with our Government. Little by little we are losing the Freedoms this great country was founded on. I’m sure you can see it just as I do. To be honest I like most don’t know exactly what will happen with the new Health Care but when our Elected Officials opt out of it that to me is a RED FLAG! And the fact they want to impose a fine if people don’t get it. Where is our Freedom of choice here. Those two points alone make me question it. Of course we all have our concerns but what ever yours are now is the time to get active. With so many questions and not enough answers we need to educate ourselves, get involved, do research and in the end VOICE our opinions. Also go to https://www.usa.gov/Contact/Elected.shtml where you will find your state representatives and write them let them know if you are satisfied or not with their performance. Remember IF we the people are NOT happy with how they are doing their job WE CAN VOTE them out next time.